For those who would like to find out more about their sleep and especially to make sure whether they suffer from sleep apnea or hypopnea, the Sleep as Android app combined with this measuring device offers the best and most comfortable possibility to perform the necessary measurements. 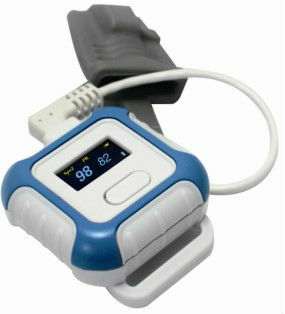 Digital Wrist Pulse Oximeter is a very comfortable solution. Usable with both StressLocator and Sleep as Mindroid apps, this device offers the possibility to perform the measurements and determine, whether you suffer from apnea or hypopnea. Wearing this device does not disturb the sleep and it is very improbable that it would get down during the night thanks to the wrist fixation.